The majestic sugar maples and the white picket fence at the entrance to the Meetinghouse at Canterbury Shaker Village. 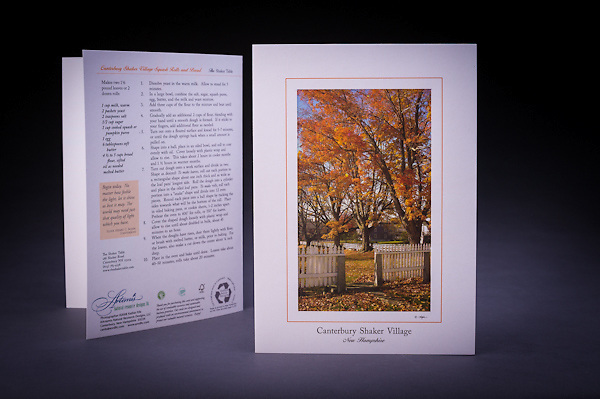 The card features the famous Canterbury Shaker Village Squash Rolls recipe. Also available as a Limited Edition Fine Art Print.